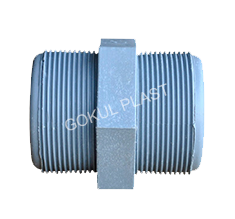 "GOKUL POLY VALVES PVT. 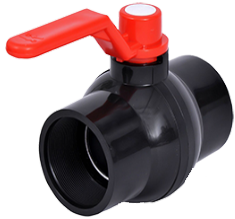 LTD." is one of the leading ISO 9001 : 2008 certified company, established in year 2006, We have achieved foremost names as a leading manufacturer, supplier and exporter of all type of Inustrial vavles like PP Ball Valve, Plastic Ball Valve, Pvc Ball valve, Hdpe ball valve, Non Return Valves, Check Valves, Butterfly Valve etc. 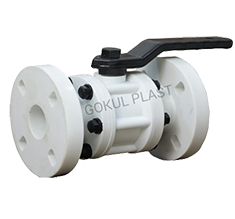 exporters of pp ball valves in USA, Iran, Egypt, Algeria, Iraq, Saudi Arabia, UAE, Oman, Mauritania, Kuwait, Qatar, Bahrain and South Africa.. 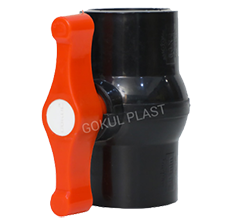 The entire variety of products made from best quality Polypropylene material such like , UPVC, PVC, PP & HDPE with the advanced machinery and technology. Valves is a mechanism that regulates, control the flow of fluid like gases, liquids by opening, closing. 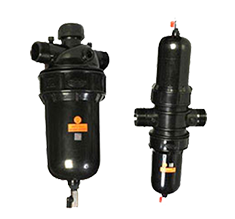 In an open valve, fluid flows in a direction form higher to low pressure. Valves are found in basically every modern procedure, including water and sewage preparing, mining, power era, handling of oil, gas and petroleum, nourishment assembling, concoction and plastic assembling and numerous different fields. 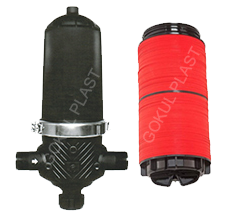 PP valves are used in drip and mini sprinkler irrigation system, sugar industry, paint and colour industry chemical industry, automobiles industry and food and dairy industry. 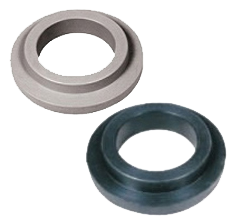 The advantages of offered products constantly increasing because these are produced from applying superior quality material and other requisite components. Additionally, to ensure the raw materials is high in best quality, we procure it through the most reliable vendors in the industry. 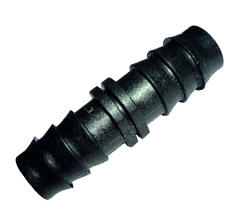 In addition to this, we execute the whole manufacturing process keeping in mind the international top quality standards. We also produce these valves, go through a top quality test procedure in order to ensure flawlessness at the well equipped testing product.